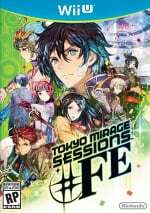 Tokyo Mirage Sessions! Mario & Sonic! SNES Ghouls 'n Ghosts! Pokemon! More! It's that time, dear readers, for the North American Nintendo Download Update details. This week brings a few major retail releases on Wii U, while the SNES is back on the New Nintendo 3DS Virtual Console. Elsewhere there are three Pokémon games on the Wii U Virtual Console, along with a fairly diverse mix of download-only options across the eShop on both current-gen systems. Let's get to the details, shall we? Missed the European Nintendo Download Update details earlier in the week? Don't panic, the information you need is still right here. Rubik's Cube (Cypronia, $2.49 at launch for users who own Cube Life: Island Survival, otherwise $4.99) - The name pretty much describes this one fully; here you have a virtual 3D representation of the famous puzzle to solve. We'll match the sides and bring you a review. 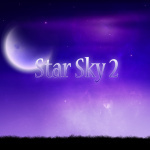 Star Sky 2 (JMJ Interactive, $4.00) - A follow-up to a previous Wii U arrival, this is designed to be a relaxing, meditative experience in which you explore and soak in the atmosphere. Though it achieves this we feel it lacks substance, as explained in our Star Sky 2 review. SPLASHY DUCK (RCMADIAX, $1.49) - The latest budget arrival from RCMADIAX, in this one you use one button to change the direction of the aforementioned duck, trying to avoid hits and collect gold coins. It seems to be another simplistic score chaser, but we'll see whether it can make a splash in our review. Blackjack 21 (Skunk Software, $1.99) - It's a Blackjack simulation that doesn't seem to offer much else. We're not sure what we can add to that description. Educational Pack of Kids Games (Skunk Software, $3.99) - It's all in the name, with this one including a variety of games to help young children with math, counting, colours and shapes. It's full of potential in principle, and we'll see how it stacks up in a review. Pokémon Mystery Dungeon: Red Rescue Team (Nintendo, $6.99) - This first entry in the series launched on Game Boy Advance alongside Blue Rescue team, below, hence the price difference. It kicked off the dungeon crawling gameplay that's now rather familiar, and we rather enjoyed it in our review. Pokémon Mystery Dungeon: Blue Rescue Team (Nintendo, $9.99) - This DS entry was released alongside its 'Red' equivalent on Game Boy Advance, utilising the dual-screen option of the last-gen handheld. As expected you battle your way through randomly generated dungeons, and this one was very similar to the GBA equivalent; we gave it a recommendation in our review. Pokémon Mystery Dungeon: Explorers of Sky (Nintendo, $9.99) - Essentially an expanded and improved version of Explorers of Time and Explorers of Darkness, this one also offers new Pokémon to play as over the other two Mystery Dungeon titles to arrive this week. With fresh (at the time) gameplay ideas over its predecessors this one is sure to be tempting to plenty of players; we'll get working on a review. Tokyo Mirage Sessions ♯FE (Nintendo, $59.99) - A title that underwent (it seemed) a slightly troubled development and shifts in focus, it now arrives as a rather colourful and quirky RPG, incorporating Fire Emblem 'mirage' characters within the cast. 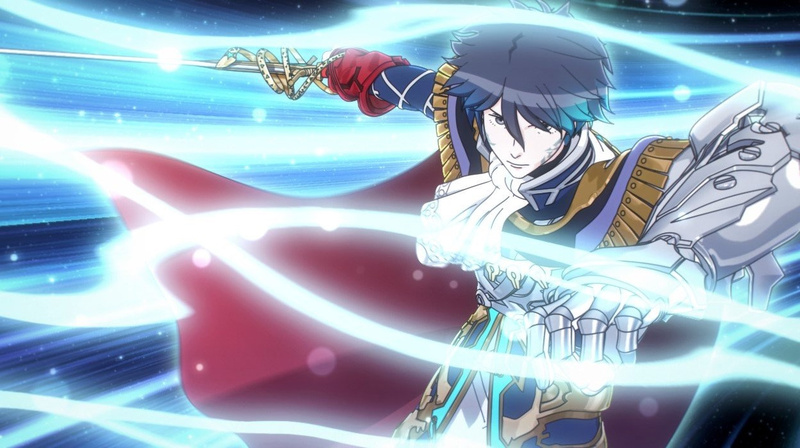 With a catchy music focus and plenty of traditional RPG depth this offers a great deal of bang for your buck; we certainly enjoyed it in our Tokyo Mirage Sessions #FE review. Available from 24th June. 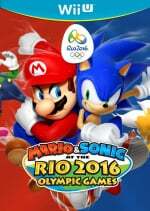 Mario & Sonic at the Rio 2016 Olympic Games (Nintendo, $59.99) - Arriving after the 3DS equivalent, this one offers HD takes on 17 different sports, with intuitive multiplayer options if you want to battle some friends and family for the gold medal. This version also encourages friendly competition with 'Duel Events', too - we'll see whether it's a winner in a review. Available from 24th June. Mighty No. 9 (Deep Silver, $19.99) - A game that began as a phenomenal success on Kickstarter but has suffered some setbacks, notably with delays. It's finally blasting its way on the Wii U, though, and we'll see whether Keiji Inafune and his Comcept team are on form in a review. Unholy Heights (Bergsala Lightweight, $6) - A rather quirky title promising a mix of tower defence and 'apartment management'; monsters are moving into your building so you set rent and make sure they're happy. You then try to repel heroes when they come to slay the monsters. It sounds like it could be fun, but we'll see whether it needs to be evicted in our review. Rubik's Cube (Cypronia, $4.99) - As per the Wii U version, though available on the go and at a lower resolution. Super Ghouls 'n Ghosts (Capcom, $7.99) — A SNES classic arrives on the New 3DS; it's a gruelling action game ready to test your skills and patience in the best possible way. With terrific sprite graphics and excellent music to help you along, we suspect this one will make liberal use of the portable's save state and restore point functionality. We'll review this version, but in the meantime you can check out our glowing recommendation in the Wii U Virtual Console Super Ghouls 'n Ghosts review. That's everything for the North American Nintendo Download Update this week - let us know what you're planning to download in the poll and comments below. Tokyo Mirage Sessions ♯FE physical copy because....physicality matters. Glad to see Capcom continues on the N3DS VC...now we just need some Mega Man X. Love all the support the New Nintendo 3DS is getting in terms of SNES VC releases, although I'm really hoping for a release of Super Castlevania IV. 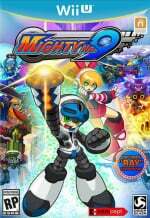 Mighty No.9: It's better than nothing, but it's not better than $20, so you might as well keep that money. Ah well. I still have my PMD games. And I need to play PSMD more. Call me when we get G/S/C, Snap, or Pinball. I hope next week we get some N64 VC releases. NA is seriously behind EU in N64 by at least 5 titles (Mario Kart 64, Star Fox 64, Wave Race 64, Zelda Majora's Mask, Mario Party 2). EU on the other hand has basically all N64 VC titles that came out on Wii VC except the Pokemon titles and Cruise in USA. @Barbiegurl777 I think the real question you should be asking is if they will get a game out that has no support. If that game is not popular then you're asking them to waste money, which is a little selfish. 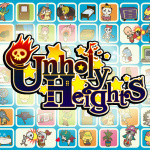 I have Unholy Heights on PC (I think it was in a Humble Bundle; btw, this week the bundles are a Sonic 25th anniversary bundle and a Neo Geo bundle). It's good, but it didn't keep my attention on PC. Unless there are problems with the port, I'll probably get it on the 3DS at some point. I think I would enjoy it more on a handheld. Just Mario & Sonic Rio for me this week. I'm been excited for this game for awhile now; can't wait to finally play it! Nothing for me. Slim pickings for the 3DS, and I already have Super Ghouls and Ghosts on PSP. Am I the only one who is peeved that the only VC they released is SNES? Where are the rest of the NES and Gameboy titles? I'll be picking up Tokyo Mirage Sessions and Pokemon Mystery Dungeon: Explorers of Sky. I doubt I'll actually pick them up this week, but I'll definitely buy them some point before July ends. Tokyo Mirage Sessions! At lunch tomorrow if Walmart has it. @Barbiegurl777 Region locking is the worst! I would wait a while on importing and see if the demo won't show up on the American estore, maybe a couple weeks. If it's coming to Europe, it's almost guaranteed it'll come to America as well! Nintendo is really weird with their release dates... There was like 2 months difference between Yoshi's Wooly World coming to Europe and America. And Fire Emblem Fates only just last month came out in Europe. "Educational Pack of Kids Games (Skunk Software, $3.99)"
Going by the name of the title and the developer's record alone, I'm worried about this one. Not a bad week, but nothing for me. @Barbiegurl777 I don't think you understand. You are asking for Nintendo to burn resources to bring a game to the US when they will not be making the money invested back due to poor sales. You and I both know that the game won't sell much, but you still think Nintendo should bring it anyway, why is that? If you want to show your support for the game, you will have import it. I would of got TMS ♯FE at launch, but I think I'll give it a pass for now due to the Jpn voice overs and Eng subs. Not that I'm a activist on english dubs, or that there is anything wrong with the current voice overs, it just that I know I would get annoyed at the parts (main the battling parts) where they don't translate what they are saying. A pet peeve of mines that I'll get somewhat over, with this game in time. This may be a dumb question but are these new SNES VC games on 3DS only compatible with the NEW 3DS XL model? @Ralizah Hoping for at least a Halloween release on that one! I'd be careful assuming you know what Nintendo is doing. No one does, and they rarely, rarely ever disclose information about their products ahead of time. Teddy Together could get a eShop only release and that way 'translation' of code from European 3DS hardware to North American hardware wouldn't cost that much. I'm sure there are enough little kids and/or curious adults out there to try this game. @Kalmaro It might come over if it does well in Europe. @Zach777 You can't tell me not to assume something and then end your comment with an assumption. You don't know that there are so many people interested in that game and most likely, there aren't. @Ralizah That's why I suggested just importing it. @dekuthered Unfortunately, yes. They only run on New 3DS. Whoa, three VC games at once, did hell freeze over at NOA HQ? @Kalmaro the game was made by bandi and has already been translated. If Nintendo decides to publish it here digital only the cost will be minor. They will at the very least break even. They wasted way more money on Devils Turd. @faint Oh man don't remind me about that game. But I'm any case, cost may not be massive but the question is whether sales while be enough to cover bringing the game stateside, and I don't think that will be the case. Oh, Super Ghouls 'n Ghosts? NA gets a VC game before Japan. I'm at work! Can someone tell me how much Legend of Legacy is? The demo didn't impress me, and I've read a lot of bad things about it, but...that Masashi Hamauzu soundtrack keeps bringing me back! As the Tokyo Mirage Sessions reviews come in, feeling like I should pick it up after all. Didn't think I would. I have so many games to play. Should I get Unholy Heights or wait a few days and get Battle Cats Pop. Both are tower defense games but it seems Unholy Heights is apartment sim too. I just want one tower defense gane. @dekuthered Yup, only the New 3DS and New 3DS XL support the SNES titles. Citizens of Earth. Get it! I love that game. Also Rhythm Heaven themes, nice! M&S @ Rio is still a possibility, but I am mostly leaning towards a rental. @Ralizah agreed! Super Castlevania IV is the game I'm waiting for most. Then Super Mario Bros. All Stars. After those are released I'm done checking and waiting each week for the drip drip drip of VC 3DS games. @SavageGM I'm not expecting anything, but I'd be really stoked if we got Super Mario RPG too. A Rubix Cube game for $4.99? 4.99! If I want a Rubix Cube, I'll just go to Dollar Tree and buy one for $.99! Anyway, I have a lot to get this week. Mario & Sonic & SMT#FE on disk and Explorers of Sky on EShop! Explorers of Sky for me. I won't be downloading or buying TMS#FE and Mighty No. 9, but I will be GameFly-ing them when I get the chance. Gotta get through FEF first. Was hoping for a Sonic sale since today's the 25th anniversary of its release in North America. Oh well. The only thing that bother's me is why would someone make a Rubik cube video game. Seriously why? Hah, that's an interesting offer on the Rubik game. Some really sick stuff today! @Barbiegurl777 well first of all, if this game will come to the US it'll be published by bandai namco. Second, what's so great about this game anyway? I'm broke so nothing for me. @Kalmaro People like different games, Nintendo wants to appeal to women and this is a title that will help do that. It doesn't cost them anything of significance to put it on the eShop if they don't feel it can do well enough at retail. It's not selfish at all for her to want them to put out a game that interests her into her territory. It's not like they have to pay to localize it into English even. Jeez, how can you have the audacity to call her selfish when your so selfish you think your opinion is the end all to be all? @manu0 Why Bandai-Namco? Nintendo published it in Europe and it was developed by Akira and not in house at Bandai-Namco. I believe it's like Nintendogs but with a Teddy Bear, it's something that would appeal largely to women and kids. My wife for example would rather play this than 95% of the games out there. she's loved games like Happy Home Designer and Style Savvy for example but she doesn't like platformers, shooters, adventure games, or anything like that. I've got the Special Edition of TMS pre-ordered so as long as the new GameStop manager doesn't screw me over, he gave people's pre-ordered copies to others last time, I should be ok. After this purchase I'm boycotting the store since he drove all the great employees away. There is too much I want coming or just released on retail in the past week to get anything on the eShop right now, nothing great there anyway. @Kevlar44 Where did I say it was wrong to like different games, I never even said I didn't like the game she wanted. Simmer down. My point was that it is selfish to ask for a game that will most likely just end up costing them money in the long run just for the sake of playing it without importing. @Barbiegurl777 I just don't see any kind of demand for it so it most likely will not reach the numbers they would have in mind if they released it over here, unless they planned for it to fail. Bought the fortissimo edition for the soundtrack and to support its western release. Not sure if I want to start the game over though. May leave it in the box till I move. @Kevlar44 then why does bandai namco's logo still appear in the European version? Also says (c) 2016 BN on the title screen. They only made a distribution deal with Nintendo for Europe, which they do a lot here. Historically BN publishes a lot more of their stuff by itself in the US than in Europe. Same applies to Capcom btw, MH is being distributed by Nintendo in Europe. @Barbiegurl777 I would wait it out at this point, if I were you. The 3ds likely has less than two years left so I can see them bringing over anything they can the last year to pad sales. I've bought a few games twice on purpose, but nothing burns me more than waiting six months to a year, importing and then getting a NA announcement. Hey European friends, did that Legend of Zelda: Majora's Mask end up being 50hz or the US version? I'm dl Mirage Sessions but I have to wait a bit as I just upgraded my HD on my PS4 and it's taking a long time redownloading everything. Might just get it physical along with Starfox tomorrow. Attack on Titan is on sale - anyone own it and how do you like it?? Mystery Dungeon in GBA or in DS? Differences? @DarkEdi They are the same game, just with a few exclusive Pokemon. The DS game mostly plays like the other DS games, using both screens, the increased resolution to display more of the dungeons at once and touch input. But even then, I'd recommend getting the gba version. It will look better on your TV; the softening filter is much better for gba games than the DS's blurry mess of a filter, and you don't need to worry about displaying two screens at once, and to top it off it's cheaper. The localised TMS#FE is inferior to the Japanese version, so I won't be getting. It's a shame too because I felt as though I was the only person excited for this game each time it was shown at E3. Oh well. Money saved for me I guess. @Meowpheel Thanks, then is better to pick GBA in VC than DS. I will consider to play this game, and later Explorers of Sky. GBA costs more than DS any way, the DS emulator or whatever they use for DS VC is much better than expected. I bough all 3 MD games can't play em atm coz splatfest but oh well. I quite love using the touch screen in blue, but then I switch to red and get a bit confused because no touch screen. @DarkEdi have both GBA is better single 1 screen play, DS has tacked on touch screen but it works semi decently. DS lets easer access to some stuff like moves for attacking. you can also choose to play with DS or GBA controls on DS but im not sure what that does, and you can trun off touch screen too. if your looking for a better image than yeah GBA is the way to go, but the file size difference between GBA and DS means GBA for some reason takes up more than DS. @KingMike umm Japan and europe don't have explorers of the sky on the VC yet, double checkmate? It's the same content with a few missing UI features that the DS offers. Version exclusive Pokemon are very easy to get, without even owning the opposing game. @DarthNocturnal I know the contents the same, but I've never owned blue only red, still have the cart for red and sky some where along with time and darkness.. and guide books for all 3.
plus I can always rescue myself by owning mutiple versions.